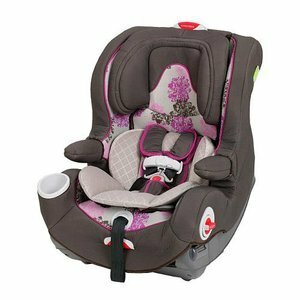 The Graco Smart Seat All-in-One Car Seat - Jessica offers long-lasting use and convenience. The all-in-one car seat fits a child from 5 to 100 pounds and features a convenient stay-in-car base. 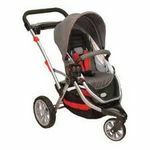 Both the car seat and base are reinforced with steel for strength and durability. A 5-point no-rethread harness keeps your little one secure with EPS energy-absorbing foam. 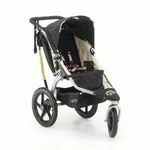 An integrated harness storage compartment contains the harness straps while they are not in use, and the flip-up armrests make it easier for your child to get in and out of the car. For parents' ease of use, the head rest height can be adjusted with 1 hand to 6 different positions. For your child's safety, the Smart Seat has been side impact tested and SafeSeat Engineered. This is a wonderful car seat. It can be used in rear facing position or in front facing. 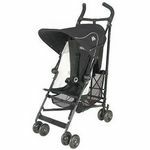 Durable for infants and toddlers. It is a forever seat so there are pieces that detach and allow for more room to fit the older your child gets. No need to buy multiple car seats as they grow. I used this car seat for my oldest daughter and loved it! She used it for a total of almost four years and fit comfortably in it the entire time.It was incredibly easy to switch modes based on her size and age, we didn't even need the instruction manual past a certain point. The stylish design was amazing but the durability was even better! This car seat handled anything thrown at it and with style. I will definitely be buying this for my youngest daughter! This careseat is really nice because of the fact that this convertible . It has good cushion too however, it's a little heavy to move from one car to another and also, it would have been better if there is a 2 cup holder. One for snacks one for bottle but over all, this is satisfactory. I love it and used this chair with my two last children are so comfortable that they simply sleep during the trips. I would recommend this product to any expecting parent. I've purchased two of these seats, and they're amazing. They hugged my infants and kept them comfortable from infant into older toddlers. 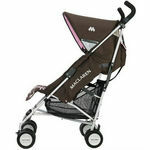 The designs were adorable, they were easy to take apart and clean, they were easy to buckle into any vechile. Love, love, love this carseat!!! This works perfectly toy for my 2 year old. I know most people keep their child in rear facing longer, but my daughter is taller than most and doctor approved this convertible carseat for her. She loves the cup holder and the straps are really easy to adjust, not to mention how light weight and durable this carseat is. I feel safe knowing my daughter is in this carseat. After doing some research we ended up choosing this car seat for several reasons. One because it was rear facing up to 40lbs and convertible for when she's a toddler. I also love the design on the cover. I love even more how comfortable it feels and looks when my daughter is in the car seat, since we live out in the country I think it works great for the long rides. The car seat was reasonably easy to install, and I've had tough car seat installations before! This one was simple as could be. Safety My daughter fits snugly in the car seat, and how the straps don't stick into her neck like her previous one sometimes did as she got bigger. Child Comfort My daughter seems to enjoy the car seat, I haven't had to add any padding or inserts to make it more comfortable. Durability Cup Holder: I am REALLY glad it wasn't those plastic cup holders you clip to the side. My son has one on his car seat and it is very flimsy, this on the other hand is clearly not. This car seat is amazing and very safe, our family loves it! Overall, this is a great car seat. 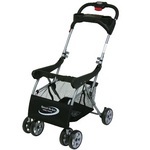 Very cute looking, very safe, easy to maneuver in and out of the car, and also easy to carry your infant in. I would most certainly recommend this car seat to any new mothers starting out. You will not be let down!! Design No complaints!! Safety VERY SAFE Child Comfort Our little one sleeps like a baby! !